Shraddha Kapoor revealed that she was happy to be a part of ‘Saaho’ and loved its script. Actress Shraddha Kapoor will soon be making her Tollywood/Kollywood debut with the eagerly-awaited ‘Saaho’. And, needless to say, the lovely lady is quite excited about working with Prabhas in this ambitious trilingual. During a recent interaction with a leading channel, Shraddha revealed that she was happy to be a part of ‘Saaho’ and loved its script. She went on to add that she is looking forward to working with T-town’s resident ‘Rebel’. “I really feel very happy to be a part of Saaho and I feel happy about working with Prabhas. It is great to be a part of film where you have loved your character and the script. I am happy that they thought of me for the film,” she added. Well, we hope that ‘Saaho’ turns out to be a successful release for the Kapoor girl and helps her add a new dimension to her career. In case you did not know, ‘Saaho’ is touted to be an action-thriller and has been directed by Sujeeth. Besides Sharaddha-Prabhas, it also features Neil Nitin Mukesh in the lead. Sometime ago, he had revealed that he’ll be playing a ‘mega villain’ in ‘Saaho’. “This is a larger-than-life film and, post-Baahubali, the entire nation is rooting for Prabhas. And where there is a mega hero, there will always be a mega villain too. My character has many shades like every other character in the film,” he had added. 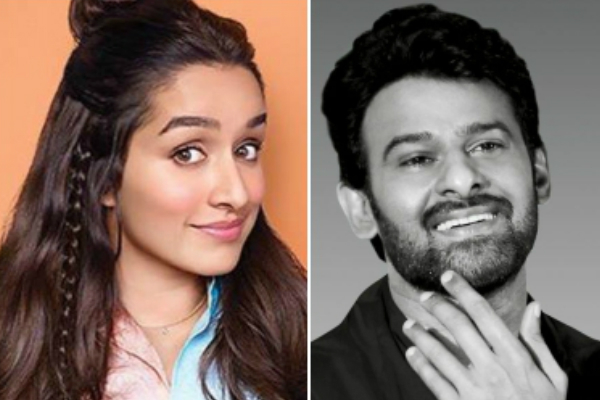 So, do you feel that Prabhas-Shraddha will make a nice pair in ‘Saaho’? Tell us in the space below. Very disappointed about heroine.but best of luck for the film. Worst casting decision. Prabhas has extraordinary screen presence and charm which Shraddha lacks. Not to mention the fact that she is an average actress on a good day. I am hoping Anushka Shetty cameo rumors are true. Even with a 10 min screen time she and Prabhas will create magic. They are that good together. What were Pramod and Vamsi thinking? PV, pls post! Prabhas is the best that we’ve got in recent times all over India. So happy to see him with all the success he deserves. Just loooooveeee Prabhas. Wish Shraddha could match upto him and make Saaho a blockbuster. Prabhas is a delight to watch. Being a national sensation everyone must be eager to work with the charismatic hunk. She is an inspiration for everyone and has an amazing golden heart. Prabhas Shraddha will definitely make a lovely pair.